People who like to think of themselves as power users of computing technology sometimes refer to smartphones and tablets as 'fondleslabs', because of the covetous stroking actions employed by the users of such devices. It's not always meant in a derogatory fashion – most such people have a glowing pocket oblong of their own – but it implies that there's an alternative, subjectively superior form of mobile technology available. Is there? Not really, but there once was. Strong gusts of nostalgia for the old clamshell design of PDA (Personal Digital Assistant) still whistle through the web. Whenever articles are written about these pocket computers of yesteryear, comments from readers are nearly always favourable, sometimes fanatically so. 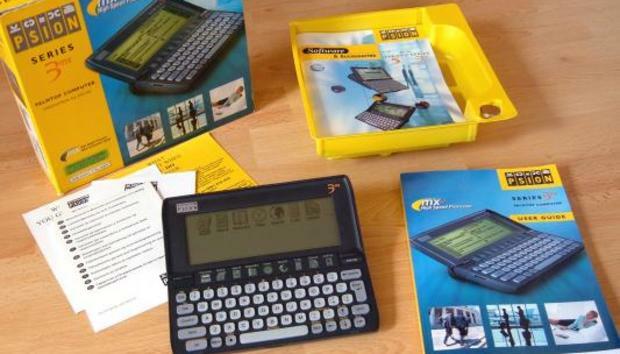 The UK firm Psion’s machines in particular (the 3-series and the 5-series) are singled out for devoted praise, being well-designed writing tools with good built-in software and a programming language (OPL) that let end-users easily write new applications of their own. But that's nostalgia, a lens rose-tinted. What about the reality? Nobody would really want such a machine today, would they? Perhaps they would. There's still a cult following and, judging by forums, blog posts and comments, plenty of people hankering for an up-to-date version. In order to gauge the relevance of these machines to today's connected world, I bought the two finest Psion PDAs the company ever made, the 3mx and the 5mx, and attempted to use them in everyday life in 2014. Good ones can be had for about £80 each on eBay and they hold their value well. These machines were loved by journalists, writers, and even soldiers on the front line. They were never bettered in their niche. Then the world moved on to tablets and smartphones with touchscreens, and Psion bowed out of the consumer PDA market in 2001. There was a third-party variant of the 5mx called the PsiXda that ran Windows XP, but it had disappointing battery life and launched at the same time as the iPad. It sank without trace.